Three small crossovers give Nissan a leg up among its competitors. In 2007, Nissan didn’t have a single crossover utility vehicle available that was smaller than a midsize model. That deficiency hurt this manufacturer as consumer demand for such established models as the Toyota RAV4, Honda CR-V and Ford Escape strengthened. Beginning in 2008, Nissan responded with the release of the compact Rogue. Three years later the subcompact Juke rolled out, giving Nissan a strong one-two punch in a burgeoning segment. Fast forward to today and the Juke is gone and the Rogue is thriving in its second generation. Two new and smaller models are also available — the Rogue Sport and Kicks — giving consumers much to consider when shopping for a small SUV. To that end, we’ll look at this trio of small crossovers and lay out the corresponding vital statistics for easy comparison. Check out each model’s highlights, click on the links for the full reviews and you should come away with a clear picture of what’s available to you. The Nissan Kicks is a subcompact model, the smallest of six SUVs offered by this manufacturer. The world of tiny crossovers has exploded in recent years with nearly all manufacturers participating. For Nissan, the Juke was its earliest model, one that preceded the current crop of entrants by several years. But the Juke’s position was replaced by the Kicks beginning in 2018, a small model with a far less controversial canvass than its predecessor. Indeed, the Kicks aligns perfectly with Nissan’s current styling convention, delivering a sporty and even a refined look, one that seems far more costly than it is. Unlike the Juke (and most competitors), the Kicks comes with front-wheel drive only. What seems like a deficiency is covered by the next model offered — the Rogue Sport. Further, Nissan packaged the Kicks with a big emphasis on value as the starting price begins below $20,000. When fully equipped you can drive away with one for under $22,000. That represents the value proposition Nissan stresses with this model. 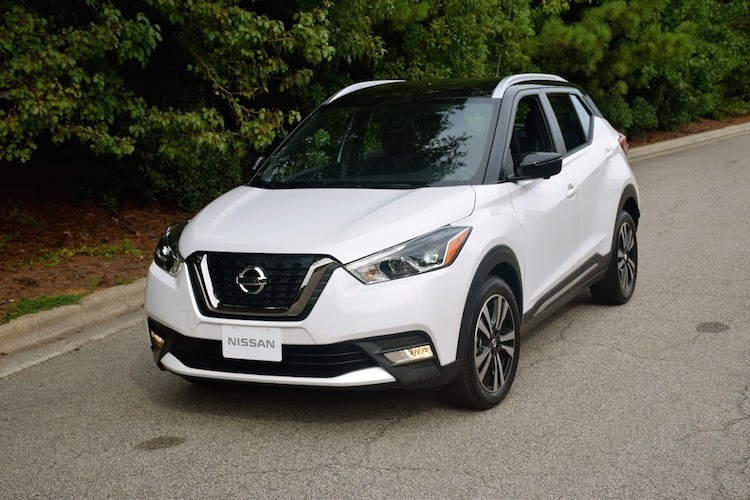 See our latest Nissan Kicks review. The Nissan Rogue Sport is known as the Qashqai in other markets. It is closer in size to the Kicks than the Rogue. At first glance, the Nissan Rogue Sport seems like an outlier among the brand’s three small crossovers. In some ways it is as it occupies the white space between the Kicks and Rogue. Despite its name, the Rogue Sport isn’t based on the Rogue. Further, in some markets it is marketed as the Qashqai (pronounced cash-ky), which is also the name of a people group in Iran. That said, Nissan marketers were concerned the Qashqai name would be difficult to remember or pronounce in the U.S., thus the Rogue Sport appellation. Unlike the Kicks, the Rogue Sport offers available all-wheel drive. As for its size, its dimensions are closer to the Kicks than to the Rogue, while its price is nearer to the larger model. Notably, the Rogue Sport is also the least efficient of the three, though barely different than the Rogue. The Rogue Sport should automatically appeal to any car shopper desiring all-wheel drive in a small package. Like the two other models, a continuously variable transmission sends power to the wheels. 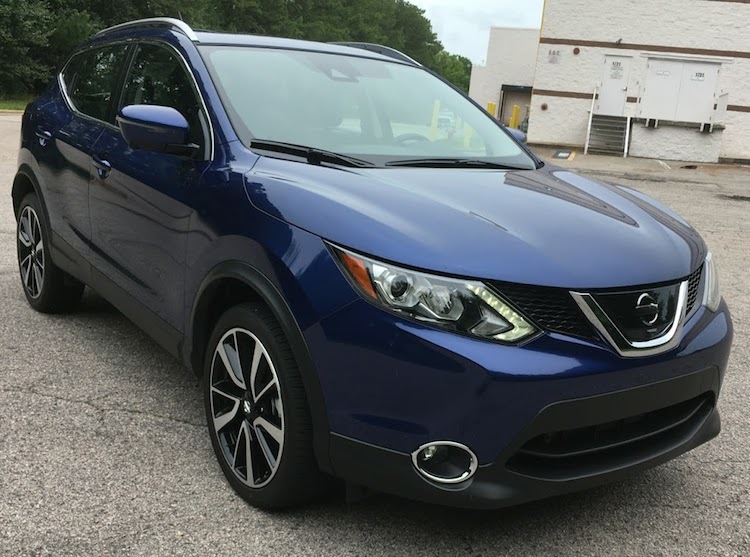 See our latest Nissan Rogue Sport review. Now in its second generation, the Nissan Rogue is one of the best-selling SUVs in America. Being late to the party can put you at a disadvantage. But not so with the Nissan Rogue. The first-generation model rolled out in 2008 and the second-generation Rogue followed in 2014. For 2014 and 2015, both generations were sold concurrently with the original renamed the Nissan Rogue Select. Today, the Nissan Rogue is vying for top honors with Honda and Toyota, a prospect some may have thought unthinkable a decade ago. Much credit must be given to Nissan for creating a formula for success, one that correctly gauges what customers deem important and then delivering that in spades. That formula includes sharp styling, a roomy interior, a host of standard and available features, advanced infotainment and driver-assist technologies and an efficient powertrain. Indeed, the 2.5-liter four-cylinder engine powering the model today is the same engine utilized in 2008. It works with a continuously variable transmission, delivering a decent mix of performance and efficiency. 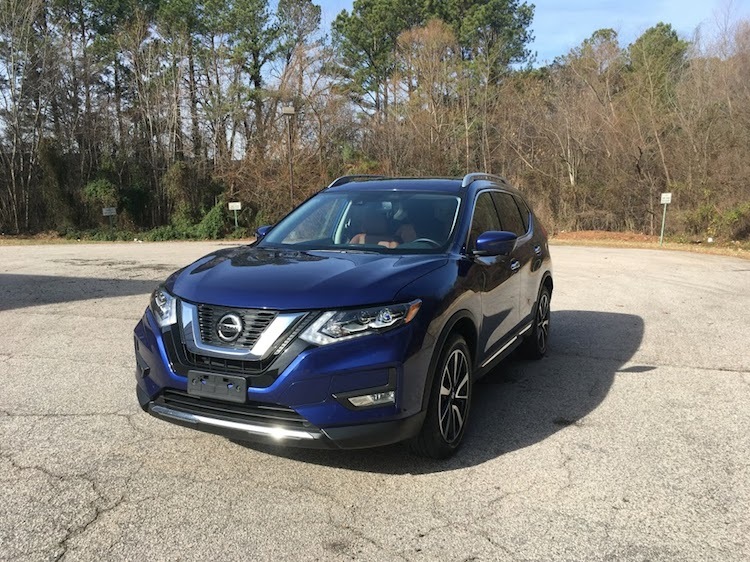 See our latest Nissan Rogue Review. Competing Models: Chevrolet Equinox, Toyota RAV4, Ford Escape, Honda CR-V, Volkswagen Tiguan, Kia Sportage, Mitsubishi Outlander, Mazda CX-5 and the Hyundai Tucson.